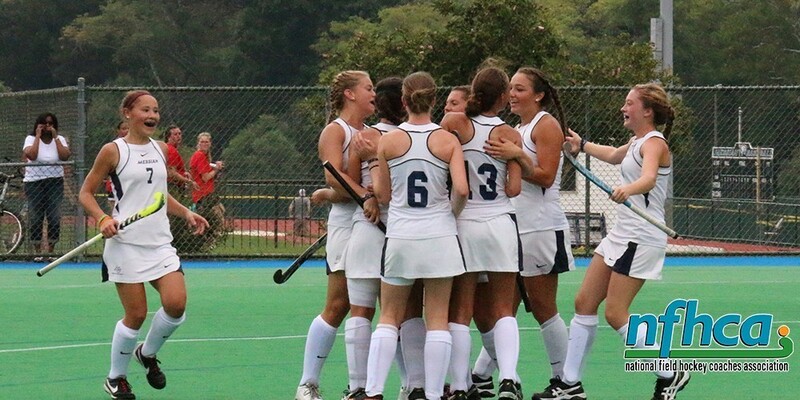 With 376 points, Messiah’s field hockey team holds the 13th rank in the national polls, according to the NCAA. Not only does the field hockey program rank high among the 164 division III teams, Messiah also achieved the highest ranking in the preseason polls within their conference. “It feels great to be ranked #1 in the MAC, but there’s also a little pressure that comes with that. Of course we hope to achieve what we have in past seasons, but we are sure to work hard every day to achieve those goals. Being ranked 13th in the nation is exciting as well, but we are shooting to move even higher in the rankings. 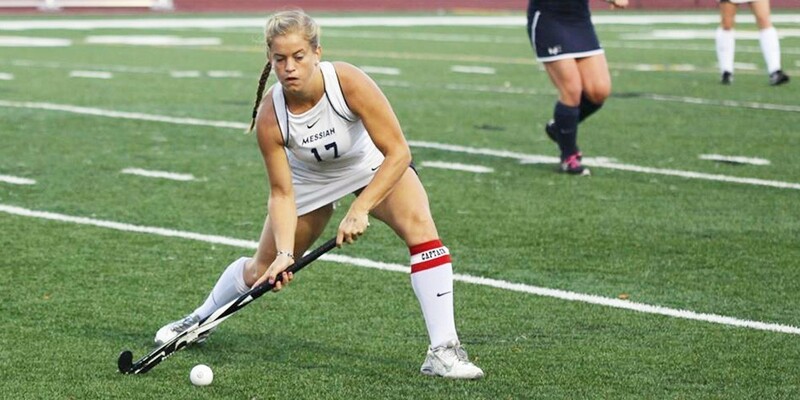 We are taking it one game at a time with our ultimate goal to go further than we did last season,” shares Lindsay Bower, junior field hockey player. Despite their loss at Catholic University, the field hockey team welcomed the season in supreme style last Saturday at the home opener beating Haverford College seven to one. With seven different players scoring each of the goals, the falcon’s bench shows supreme depth in skill and finesse. Sophomore forward Taylor Holt leads the team with three points, tallying one goal and one assist. After having an incredible breakout season last year scoring 26 goals alongside her 2 assists, sophomore forward Carissa Gehman has begun her season scoring one tally in the first two games. Previous rookie of the year within the Commonwealth conference, third team All-America and First team all-region, Gehman is definitely a player to watch. Well certainly this year, messiah field hockey is striving to be the best. The next Lady Falcon’s game is against Salisbury University at 1pm on Saturday the 12th. The game will be streamed live and accessible through http://gomessiah.com/schedule.a spx?path=fhockey. Check out the game and support your field hockey team!